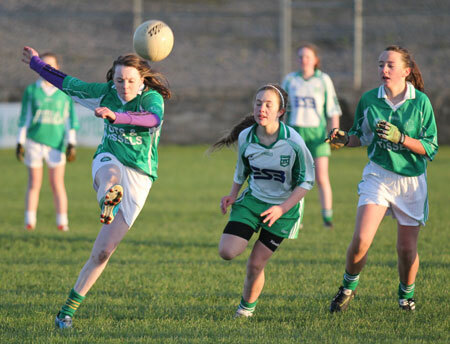 The under 14 girls played host to SAINt Naul's in their second league match of the year for what really was a game of two halves. 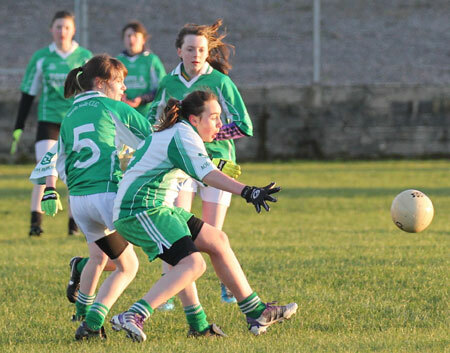 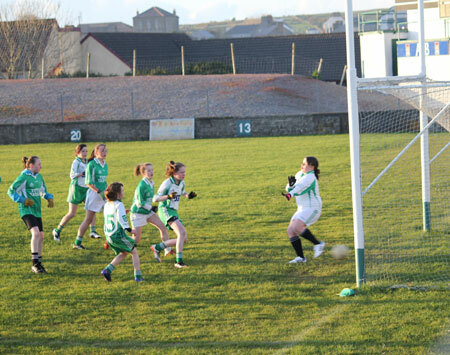 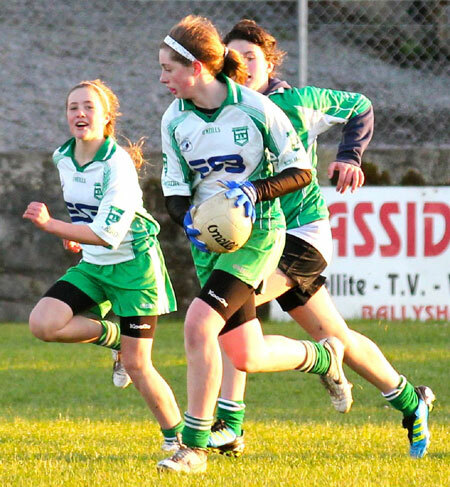 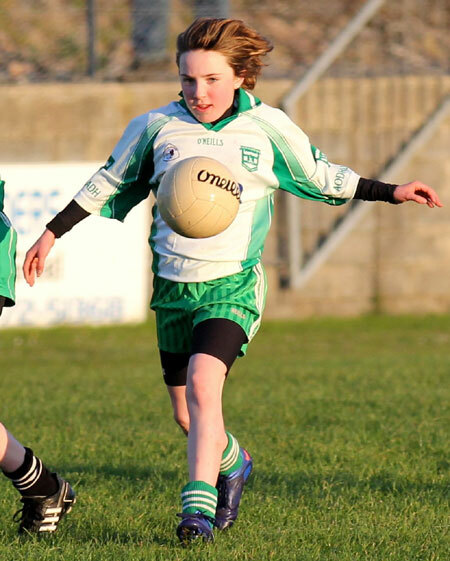 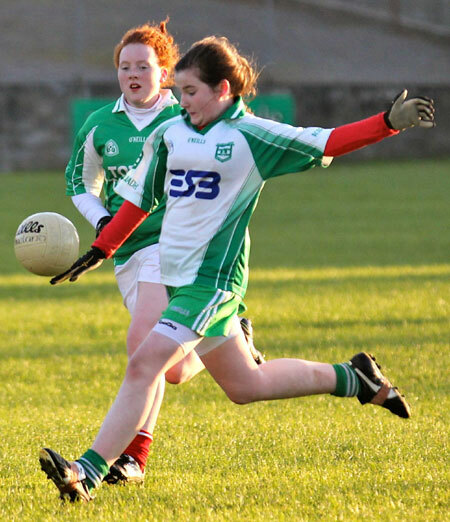 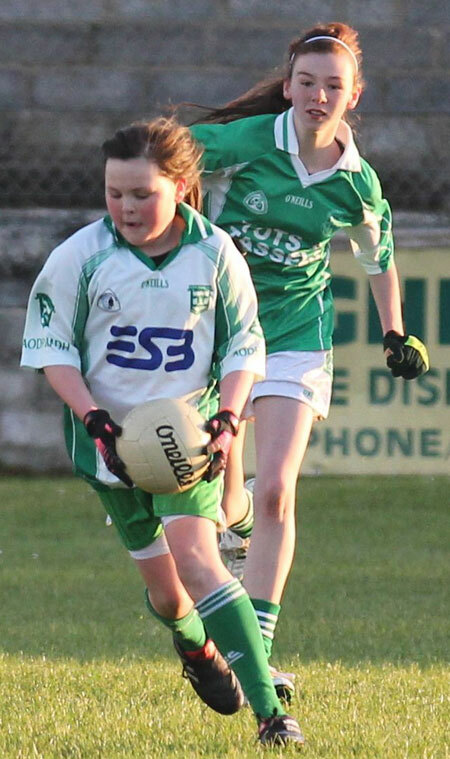 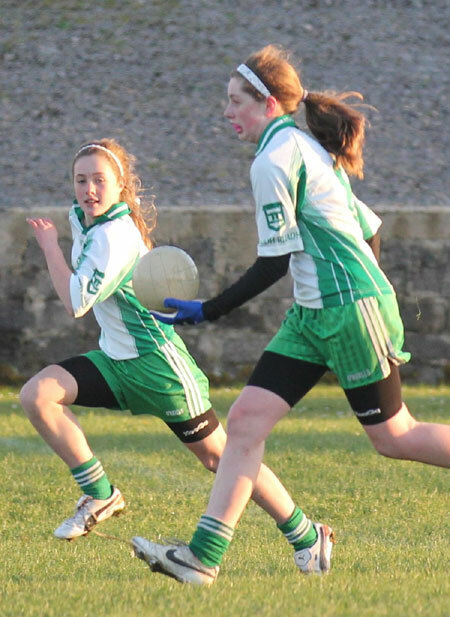 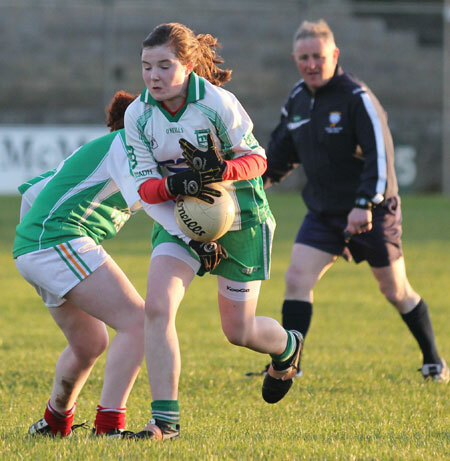 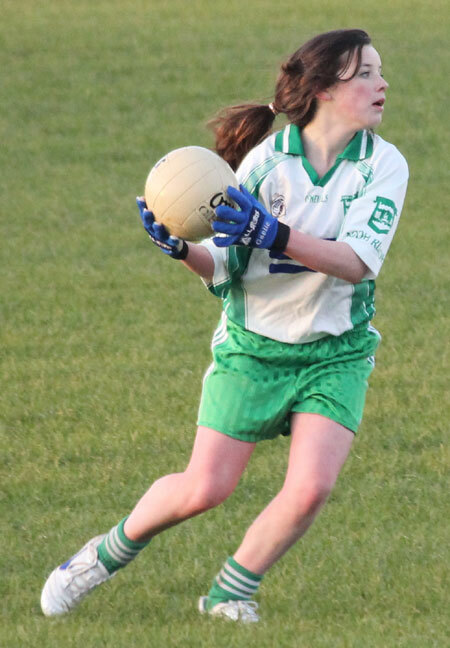 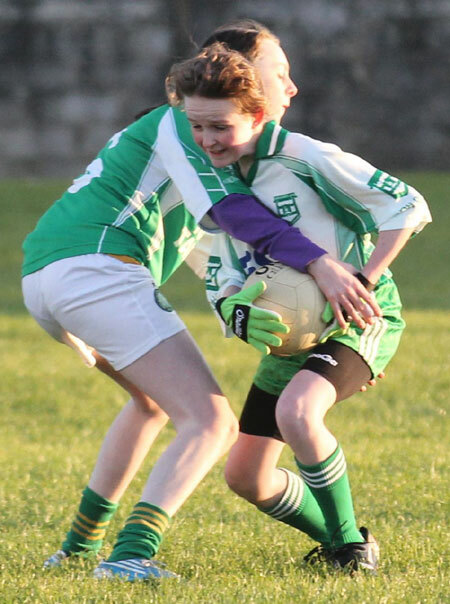 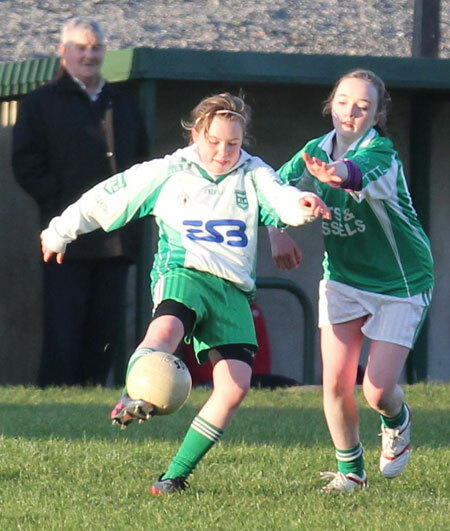 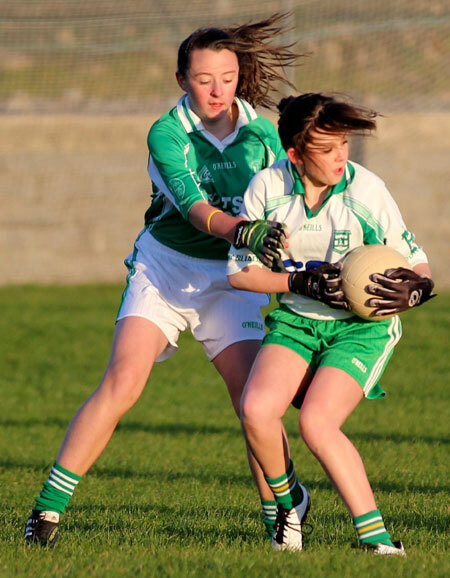 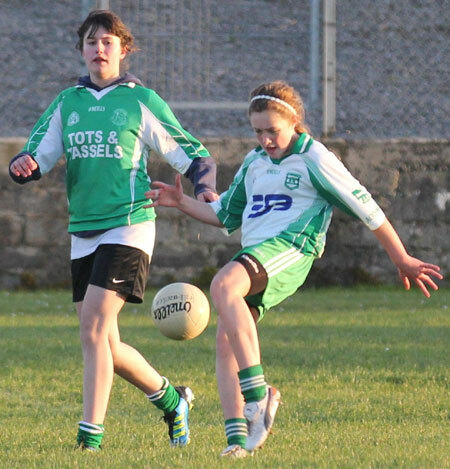 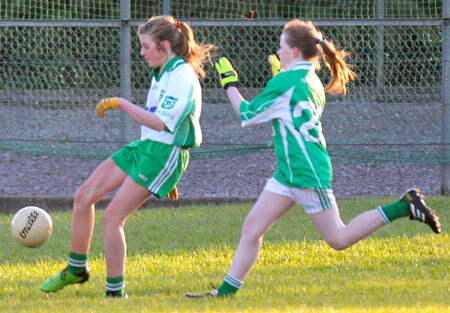 The visitors had a strong physical team and dominated throughout the opening 30 minutes to leave the Aodh Ruadh girls looking at the wrong end of 3-03 to 0-00 scoreline at half-time. 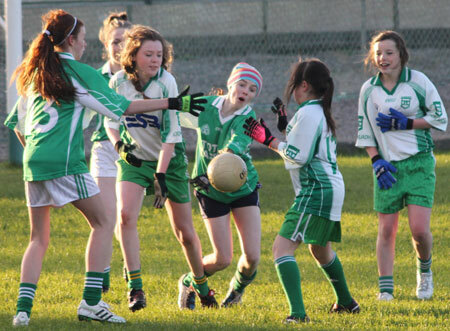 After a peppy and inspirational half time talk from the manager the girls came out in the second half with all guns blazing. 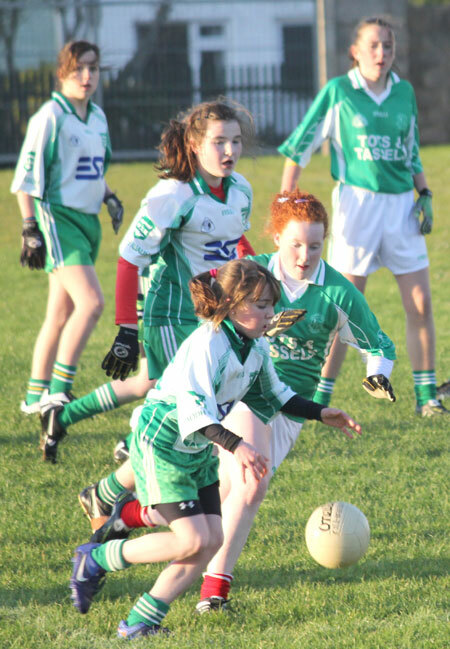 A great team effort saw the home-side outscore their opposition in the second half leaving the final result at 5-05 to 2-03. 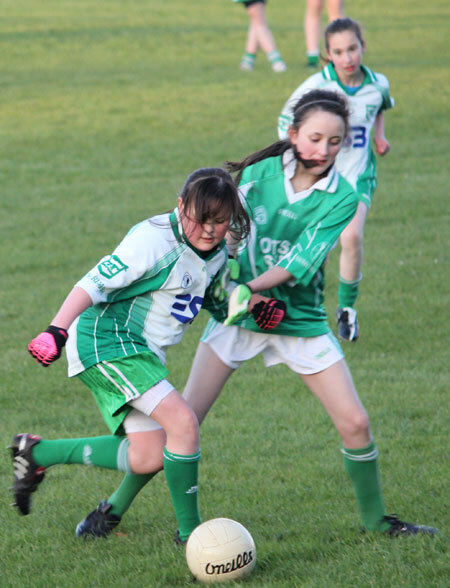 With the calibre of play and character displayed in the second half it is clear that these girls are capable of some excellent football. 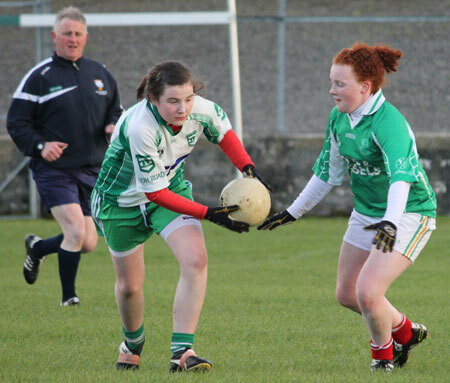 Kelsie Warren; Lorna MattHews, Aoife Bromley, Louise Mahon; Shannon O'Donnell, Laoise O'Connor, Leona Cleary; Meabh Rooney, Shelly Loughlin; Kirsty Jordon, �ine Gillespie, Mary Flora Scott; Rebecca Gillespie, Orlaith Gillespie, Aoife McDevitt.